Ron manages Schauer Group’s oil and gas practice group, specializing in the upstream market. He also has an expertise in the construction, manufacturing, social services and trucking industries. Ron joined Schauer Group in 2005. 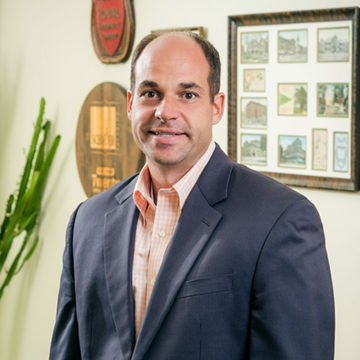 Ron earned his bachelor’s in Business Administration from Malone University in 2005 and a designation as a Chartered Property and Casualty Underwriter (CPCU) in 2009. He is a member of the Society of Petroleum Engineers and serves on the Oil and Gas Energy Education Foundation Scholarship Committee. He also serves on the Jackson Township Rotary Club and the Malone University Business School Advisory Board. Ron is past treasurer of the Canton Museum of Art, past president of the Jackson Township Rotary, and past board member of the American Red Cross of Central Stark County. He is a 2012 recipient of the ystark! Twenty under 40! award and was named Rotarian of the Year by the Jackson Township Rotary in 2009. Ron is married with two children.